With its first two kits, Nintendo has already elevated a medium that usually spends most of its life sitting in a recycle bin. 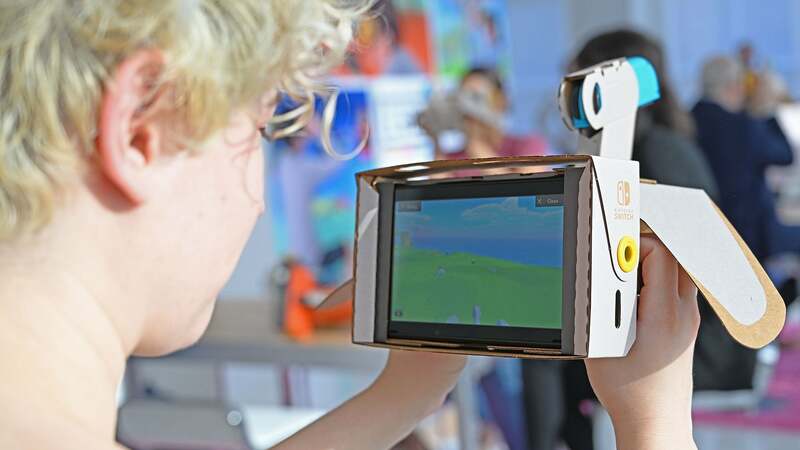 Now with the new cardboard Labo VR Kit, on top of adding a whole new dimension of gaming to the Switch’s arsenal, with designs and materials to make cardboard birds, elephants, blasters, and more, Nintendo’s third foray into cardboard is its most ambitious yet. At its core, the Nintendo VR Kit is similar to previous versions of Labo. 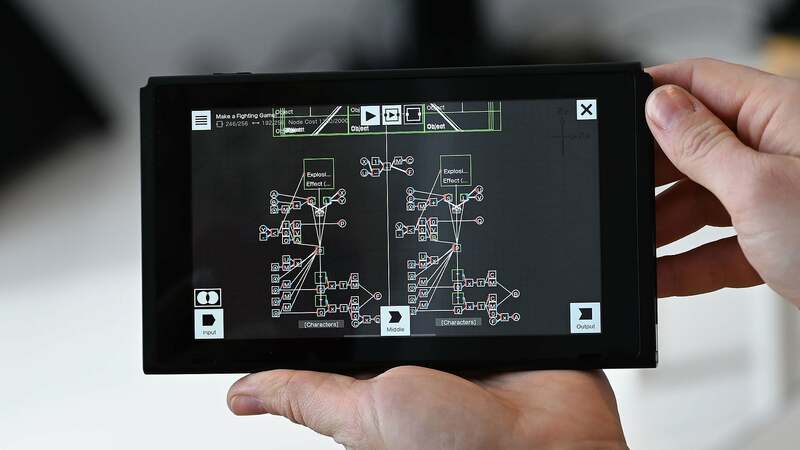 The full $120 kit comes with a new set of software and an assortment of cardboard models with step-by-step instructions designed to be used in tandem with the game. 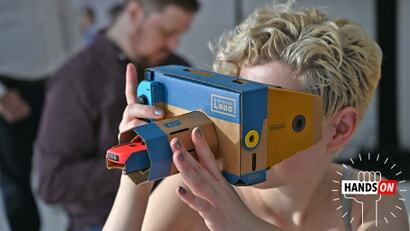 But by adding VR to the mix, it feels like Nintendo has really expanded the boundaries of its cardboard universe. 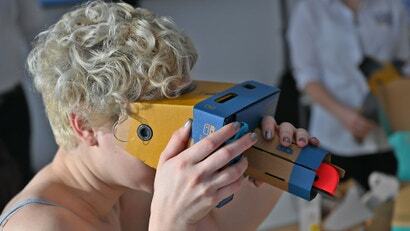 Now with all respect to the Switch, coming in, I wasn’t entirely sure VR was something it could handle. 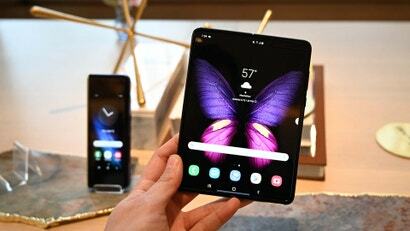 Even when it launched in the spring of 2017, the Switch’s Tegra X1 processor was already a couple of years old, and when you combine that with the Switch’s relatively low-res 1280 x 720 screen, mating the Switch to an extra-large take on Google’s Cardboard VR headset seemed like a big risk. But once again, Nintendo has proven that it can work magic even with limited resources. Yes, the Labo VR Kit suffers from a noticeable screen door effect, which is the result of being able to see the space between individual pixels on its screen. 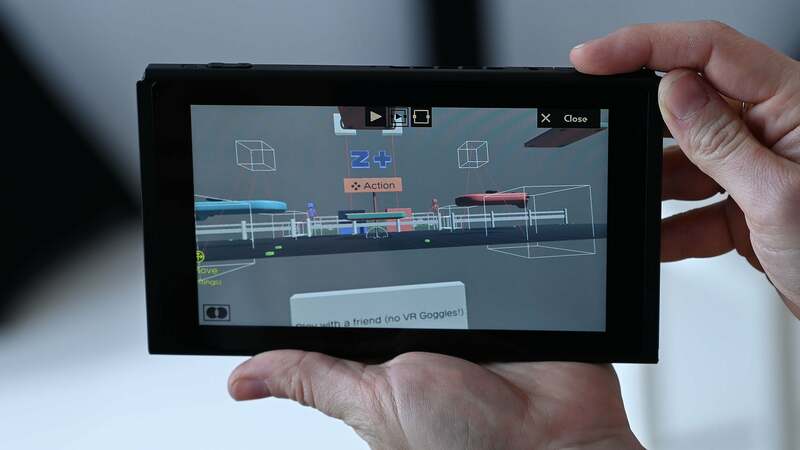 But that’s something practically every attempt at mobile VR has to deal with, so it’s not just a Nintendo thing. Setup is also quite simple. 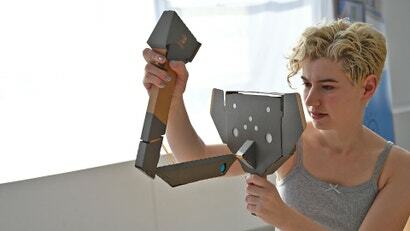 After building out the various cardboard models, all you have to do is slide the Switch into the cardboard headset frame, pick which model you want to play with, and off you go. 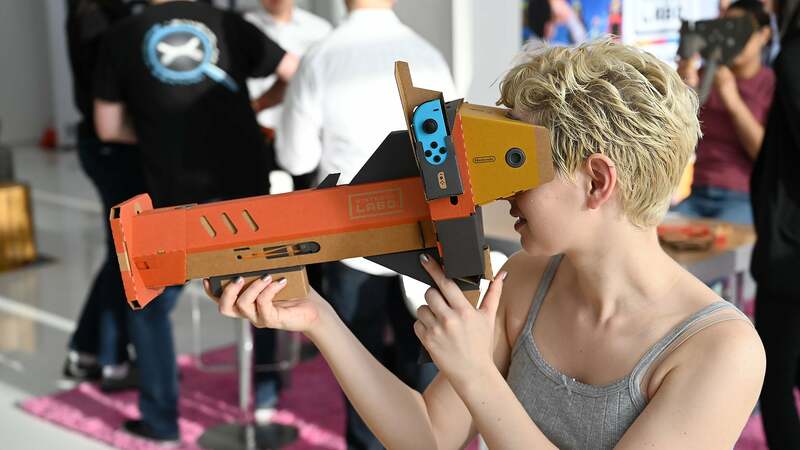 The main difference between Nintendo’s VR and similar headsets is that because there’s no headband or strap, you have to hold the headset to your face instead of being strapped in. 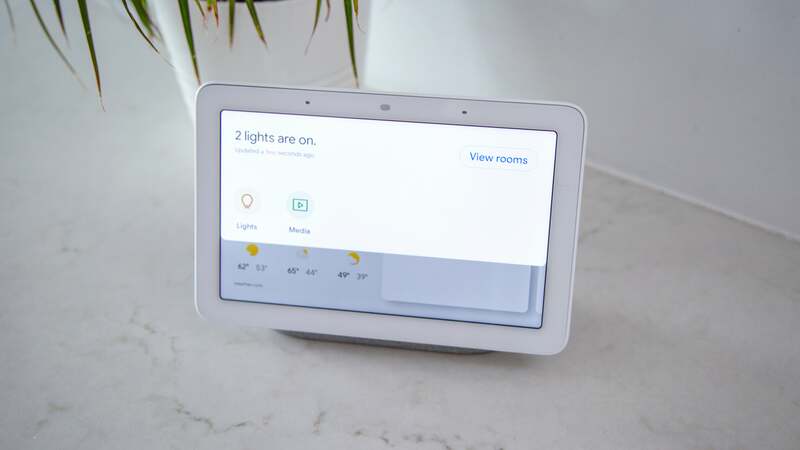 This has the added benefit of making it easier to find the headset’s visual sweet spot. Each cardboard model has a specific game built to take advantage of its unique features. My favourite was the Toy-Con Blaster, which reminds me a lot of a re-imagined Super Scope from back in the 90s, where your goal is to blast cute little aliens as you travel through a shooting gallery. And while I didn’t have a chance to build the model myself, I was really impressed by the blaster’s sophisticated cocking mechanism that felt way more substantial than cardboard really should. 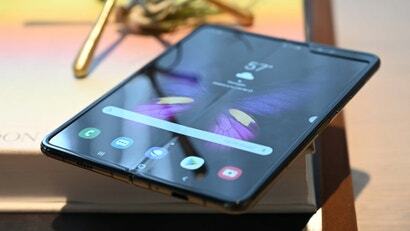 It even comes with tactile feedback through clever use of rubber bands, and a surprisingly satisfying mechanical trigger. 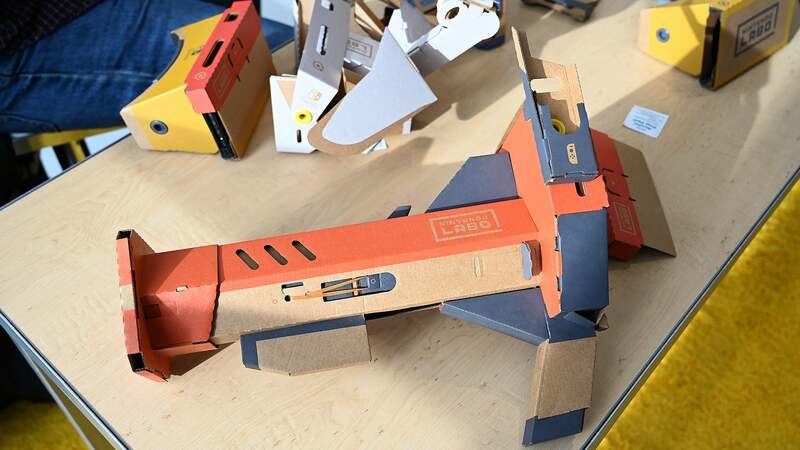 Then there’s the Toy-Con Bird, which has you physically squeeze the sides of the cardboard model to make its wings flap, which in game allows you to control your height while you steer by moving your head. And your mission? To fly around the map collecting fruit and recruiting new avian friends to join your flock. Meanwhile, the Toy-Con Camera offers a more laid back experience that has you exploring the ocean while snapping pictures of the wildlife and completing objectives. You can even turn the barrel on the front of the camera as if it was a zoom lens when you want a closer shot. Though as relaxing as swimming around and snapping pics of sunfish is, I couldn’t help but think how I wanted this same experience applied to a rebooted version of Pokemon Snap. 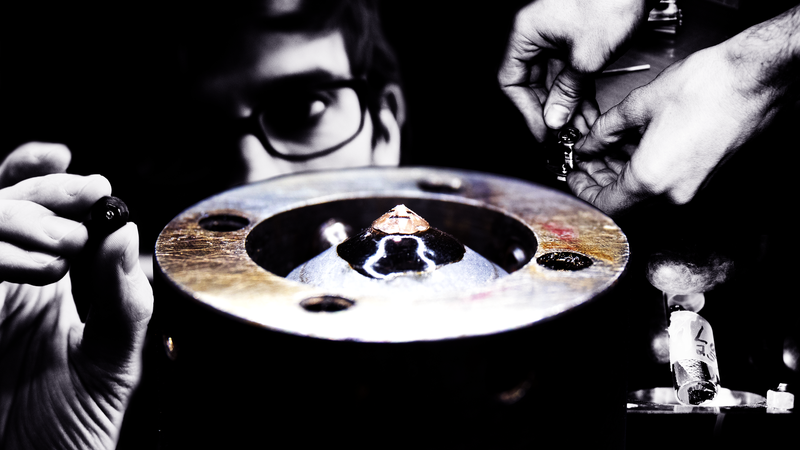 Then there’s the Toy-Con Wind Pedal, which might be the simplest of all the models, but maybe also the most profound. 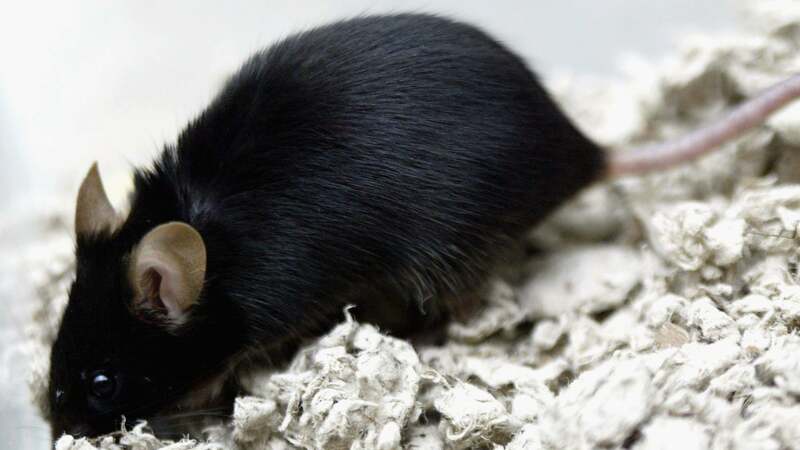 It’s used alongside the standard VR headset to play a game where the goal is to help a frog jump its way into outer space. The nifty part about all this is that when you step on the pedal to jump, the fan on the end of the pedal blows a gust of wind in your face, which adds an extra level of depth to an otherwise simple game. But by far the most out there model is the Toy-Con Elephant, which is less of a traditional game and more of a modernised 3D take on Mario Paint. 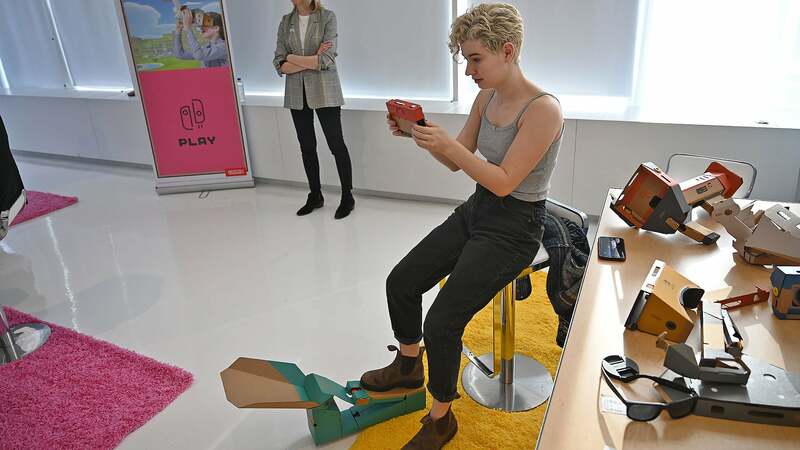 By moving your head and the elephant’s trunk, you can draw and sculpt in 3D, and potentially even take your creations and transfer them into the other section of the Labo VR Kit: The Labo Plaza and Garage. The Plaza is a simple assortment of 64 different mini-games ranging from a table-top soccer game to RC car destruction derby. 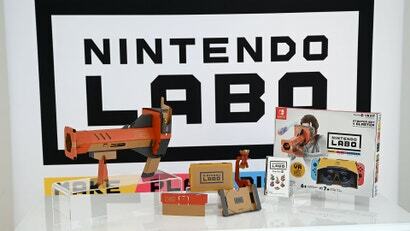 From what I played, each game is a bit of bite-sized fun, but the real power is how those games tie into the Garage, Labo’s home for tinkering. 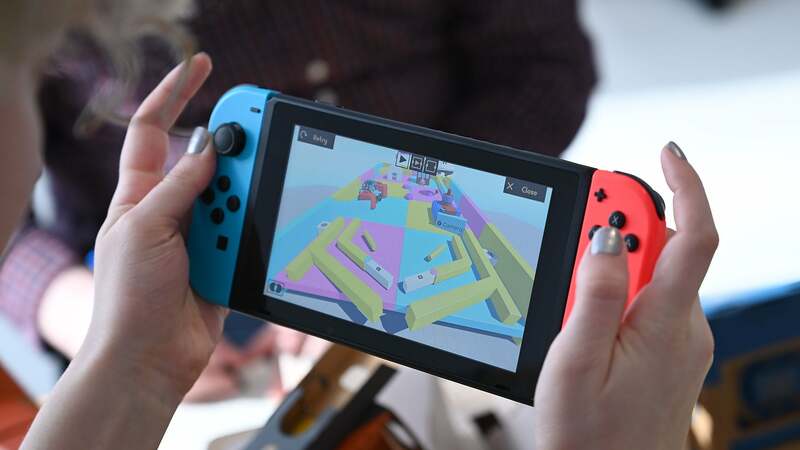 That’s because each game in the Plaza was created using Labo’s built-in game engine, which means not only can you inspect the games to see how they are made, you can take those designs, tweak them and build them out to create your own custom mini-game. Given a little parental guidance and the freedom to explore, I can easily see how this could be a way better intro to programming for kids than my experience learning Basic on a VAX terminal when I was in school. The Toy-Con Blaster is the most complicated to build, but probably also the most rewarding. 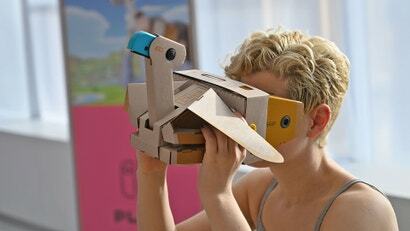 Here’s one look at some of the programming behind one of the Labo VR Kit Plaza games. And a top-down view of some of the logic as well. The Plaza has a mix of VR games and more traditional fare likes this Pinball game. 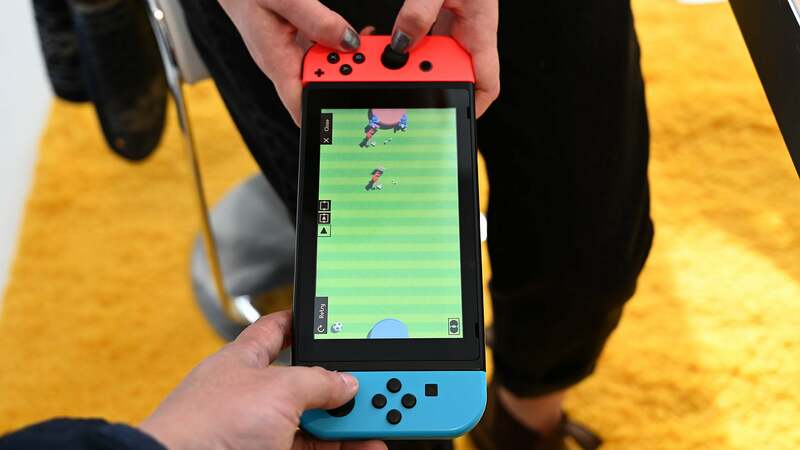 The soccer game is a nice choice for some quick multiplayer action. 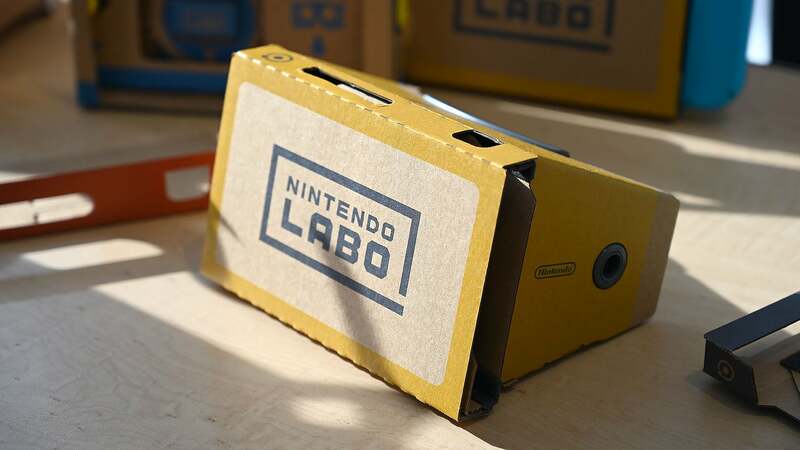 For those concerned about how VR might affect children, Nintendo says that the Labo VR kit was designed for kids age seven and up. And with each model requiring you to hold the headset to your face instead of being locked in, the Labo VR kit sort of has a natural advantage of forcing you to take a break from virtual reality pretty frequently, even if it’s just to give your arms a break. 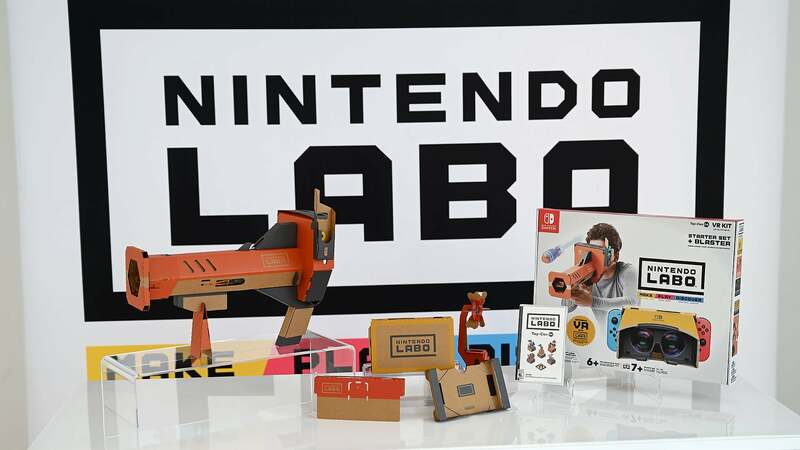 And while each game individually might not have the depth of a Mario Odyssey or Breath of the Wild, the sheer number of games and especially how you can expand on each Plaza game might give the Labo kit even more replay value. At this point, I probably shouldn’t keep being surprised like this. But after barely more than an hour with the Labo VR Kit, I couldn’t help but find myself feeling like I had missed out being born in the 80s. While it’s a bit more streamlined in scope, the Labo VR Kit revitalizes some of my favourite childhood gaming experiences like the Super Scope, Mario Paint, a hint of Pilotwings, the Virtual Boy, and more into a big bundle that made for 2019's technology. 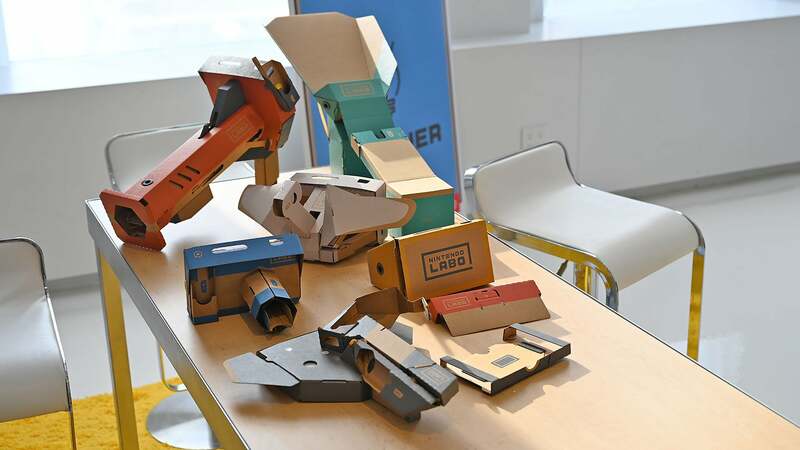 The Nintendo Labo VR Kit will be available on April 12th as a full kit for $119.95, or separately as a $59.95 starter kit offering the base game plus the blaster model, and two $29.95 add-on kits for the camera and elephant, and the bird and wind pedal.